TunnelBear VPN Review 2019: Is it Transparent, Fast and Secure? 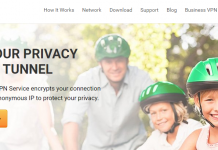 Home Trending TunnelBear VPN Review 2019: Is it Transparent, Fast, and Secure? Before I even begin my comprehensive review of the TunnelBear VPN service, I’d like to share a little bit about the bear. For your information, when I’m not doing this (VPN Reviews), I’m always on Safari. Why would a VPN service adopt the bear as its name-nay-brand? What are the unique characteristics of a bear? Protective, affectionate, strict, and devoted. Now keep the above characteristics of a mother bear at the back of your mind as we take a conscious journey of discovering the usability, performance, privacy, security, and many other features inherent in the TunnelBear VPN service. I find the TunnelBear website to be simple, straightforward, and easy to use. Navigating through the site is comfortable and enjoyable. In fact, if it’s your first instance with a VPN, you’ll feel comfortable at the TunnelBear VPN website. 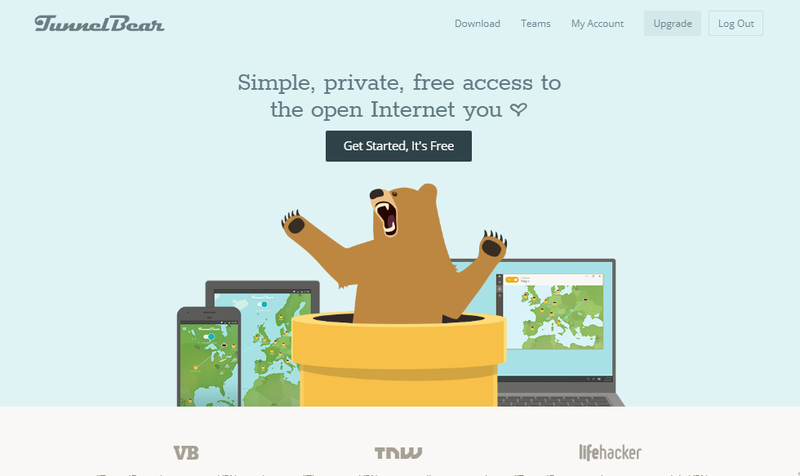 Unlike other messy VPN websites, TunnelBear uses images to help you navigate from the Homepage to other relevant pages. In the top right side, there’s a menu that scrolls you to the “Pricing”, “Teams”, and the “Downloads page”. Similarly, you can navigate to more pages by using the menu at the bottom of the front page. I like the TunnelBear website. It’s soft, warm. It shows fondness and tenderness. Isn’t that the affectionate nature of a mother bear? TunnelBear VPN works with all the major platforms including Windows, Android, macOS, and iOS. Additionally, you get a browser extension for Chrome and Opera. Though the VPN service doesn’t provide a full application for Linux, they provide instructions for using TunnelBear on Linux. The support for Linux is also limited. I want to let you know that TunnelBear will neither work on your Kindle/eReader, Apple Android TV, Windows mobile phone, gaming systems, nor by manual configuration of your router. How many connections does TunnelBear allow? 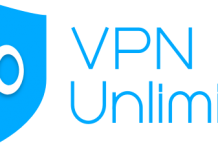 The number of concurrent connections that a VPN service allows its users are among the features that influence subscription. A standard household in the US has an average of 5 to 6 devices. So most VPNs allow up to 5 devices which is fair. Express VPN allows connection up to 3 devices which play against them. NordVPN allows 6 concurrent connections, CyberGhost up to 7 devices, and I’ve just discovered that IPVanish is now allowing simultaneous connections up to 10 devices which I think is the highest in the VPN industry. TunnelBear VPN allows simultaneous connection of up to 5 devices using a single account. If you connect to more than 5 devices, you’ll receive a notification from TunnelBear. The consequences are that you will not be able to make a new connection for a couple of hours. Here, TunnelBear seems to be strict, anyway, it’s another character trait of the mother bear. 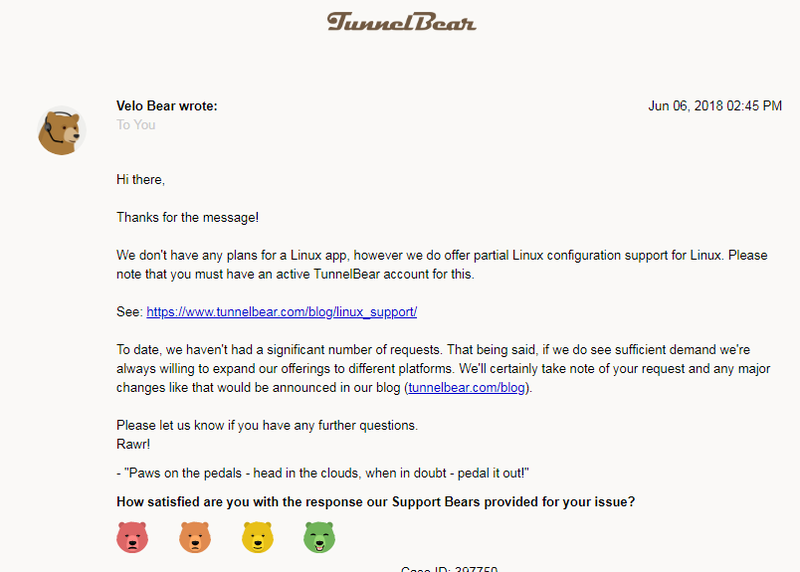 If you have a team let’s say like your employees and there’s the need for having multiple accounts to enable your workers to connect to TunnelBear easily, you had better opt for The TunnelBear for Teams. The TunnelBear VPN for business will allow every person to connect up to 5 devices. I like its centralized billing and administration. TunnelBear offers three main plans namely the Little, Giant and Grizzly. Three bears of different sizes represent the three plans. The Little plan represented by the smallest of the bears is the TunnelBears free plan. I submit that the best way of finding out whether a VPN provides the exact features and performance capabilities as it claims is to test the respective service. To that end, most VPN services usually provide its users with 30-Days money back guarantee. What it means is that you have to subscribe and purchase a plan, use it, and if you are not happy with their service, you have the option of claiming back your money within the 30-days window. NordVPN and ExpressVPN are excellent examples of VPN services with 30-days money back guarantee. Instead of money back guarantee, other VPN services (CyberGhost, and VyprVPN included) offer to their subscriber’s 7-days or 14 days Free Trial period. TunnelBear beats such VPNs hands down with their Little Plan. It allows you to sign up and use their service free. However, your data is limited to 500mb for every month. You also get access to all their servers except for the Australian server. I think the Little plan is the best way (more so for first timers) to test the VPN service before upgrading to the premium plans. 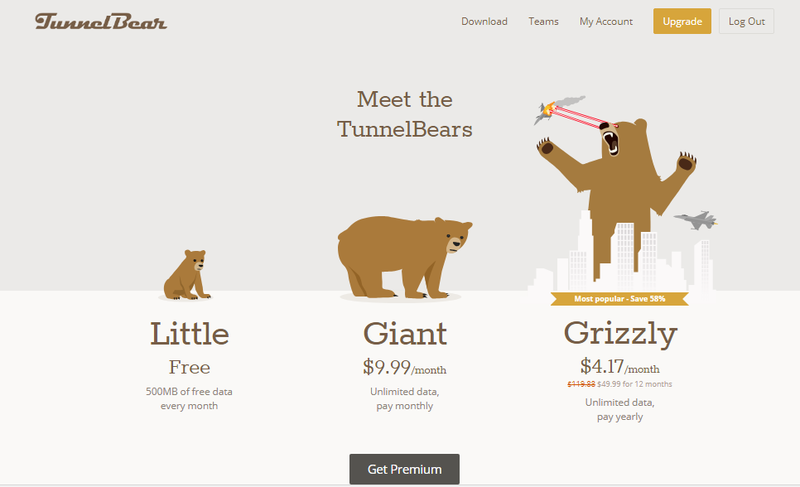 The “Giant bear” is a monthly plan that allows you unlimited use of the TunnelBear service for $9.99/month. You also get access to all their features. According to TunnelBear, Grizzly is their most popular plan. The “largest bear” will see you save 50% so that you only pay $59.99 for 12 months. Comparatively, this is fair pricing for a log-less premium VPN service. TunnelBear accepts card payment (Visa, Master Card, America Express), and Bitcoin for those looking for anonymous payment. However, they do not accept PayPal. The number of server locations is a consideration for many people before they subscribe to a VPN service. It’s indisputable that connecting to the nearest server results to fast speeds. It is also true that to unblock a Geo-restricted service; you need to connect to a VPN server in the same location with the blocked service. And so more servers mean fast speeds as well as flexibility. TunnelBear VPN has a total of 20 server locations that spread across the world. 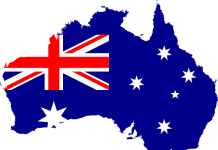 The server locations include Canada, USA, UK, Germany, Australia, Singapore, Brazil, Italy, among others. TunnelBear has fewer server locations compared to some VPNs like NordVPN with 62, and ExpressVPN with 94. I like that TunnelBear VPN has physical servers. And not virtual ones so that when you connect to a server in your chosen region, you can rest assured that indeed it’s the server location you are connected to. Testing the servers, I did not experience any lags at all. That’s impressive. I hope TunnelBear could do with some additional servers more so in regions like the Middle East and Africa where they currently have none. TunnelBear VPN is located in Canada which isn’t one of the best VPN locations. Canada is a member of the 14 Eyes, and they do have invasive privacy laws. Having said that, TunnelBear does not keep logs of a user’s online activities. The only information they collect is “account information”. They collect your email account for purposes of general communications, purchase receipts, and occasionally product news. They may collect (optional) Twitter ID for completion of their Twitter Promotion. TunnelBear VPN will neither log your IP address when you visit their website nor upon service connection. They will not also collect or store your DNS Queries while connected. And, information pertaining the applications, sites or any other services that you use while connected to their service. To that effect, TunnelBear is a strictly no logs VPN service. What this would mean is that even if the Canadian authorities were to pressure TunnelBear to release your information, TunnelBear wouldn’t have any to give. Regardless of their location in Canada, they seem devoted (like the mother bear) to protect your privacy by all means. What Encryption Protocols does TunnelBear VPN implement? TunnelBear VPN provides Windows, Android, and Mac OS X users the OpenVPN protocol. 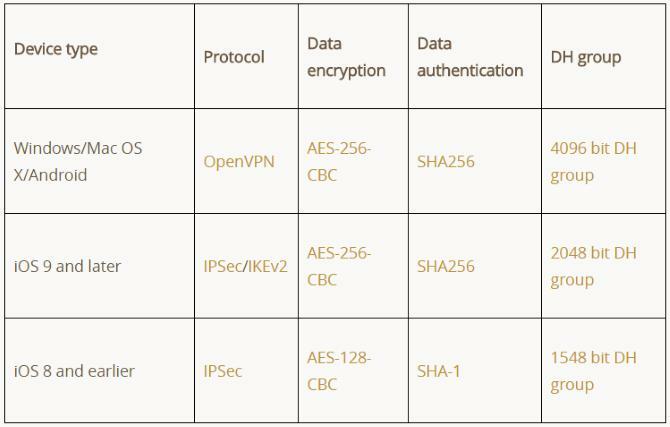 On the other hand, iOS VPN clients have a choice between IPSec/IKEv2, and IPSec. All the platforms (except for iOS 8 and earlier) use the military grade 256-bit Advanced Encryption Standards (AES), and SHA 256 for Data authentication. iOS 8 and earlier uses 128-bit AES for Data encryption and SHA-1 for Data authentication. GhostBear is TunnelBear’s Stealth mode or obfuscation technology. It disguises the VPN traffic and makes it look like regular HTTPS traffic rendering it undetectable by firewalls (including the notorious Great Firewall of China). 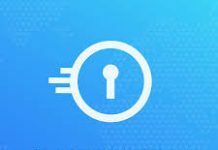 It’s an extra layer of security that’s invaluable for helping you avoid censorship, throttling, and detection by your government, ISP, or any other party. In fact, TunnelBear is among countable VPN services that work to bypass the notorious Great Firewall of China. I’d advise if you reside or are travelling to China to take advantage of the TunnelBear VPN and defeat the massive Chinese censorship apparatus. The same goes for Russia, Iran, Turkey, and any other heavily internet censored regions. VigilantBear is an inbuilt Internet Kill Switch. A Kill Switch is among the features I usually advise my readers to consider before they subscribe to any VPN service. When you use a VPN service, all your web traffic is encrypted. But, what happens in case the VPN connection falls? Your unencrypted web traffic would leak to your internet service provider (ISP) thereby compromising your privacy. 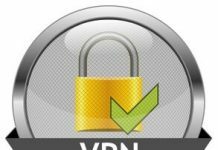 The Internet Kill Switch stops the leaking of your data from the VPN tunnel in case your VPN connection falls. The TunnelBear security and privacy features portray the protective nature of a mother bear. If you are looking up to torrenting, I’m afraid TunnelBear is not your VPN. They do not allow P2P file sharing on their network. Torrenting goes against the Canadian laws and TunnelBear won’t do or allow you to do anything illegal. In my speed test, TunnelBear exhibited impressive speeds, and I was able to stream in HD quality without the annoying buffering. I also like that the VPN service connects fast. Additionally, I did not lose connection at all during my several tests. My tests at ipleak.net confirm that TunnelBear is free from any IP, DNS, or WebRTC leaks. Meaning, TunnelBear is safe to use. As you know, Netflix is always at war with VPN services. To that end, most VPN service providers have given up the drama with Netflix. TunnelBear is among the increasing number of VPNs that do not work to unblock the US Netflix library. It could be because of its location in Canada. Canada has some of the toughest laws on copyright infringement. The US Netflix library has a massive collection of movies. However, because of copyright restrictions, Netflix is continually working extra hard to block VPNs from helping people from overseas to access the US Netflix library. Provision of Wi-Fi services is nowadays a formality for many public as well as commercial facilities. Hence Airports, restaurants and even commuter services offer free Wi-Fi. Connecting to such networks can be a nightmare if they are not secured. Hackers or other cybercriminals could easily prey on your private information. TunnelBear understands this vulnerability, and so, they provide its users with the trusted websites feature which is a whitelist of all the WiFi networks you trust. If you activate the feature, TunnelBear will automatically connect any time you connect to untrusted WiFi networks. TunnelBear VPN is a trustworthy VPN service that lays all its cards on the table. Think about it. Most VPN services will tell you we do this; we do that, we do not do this. However, TunneBear goes an extra mile to commission an independent code audit. 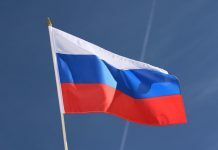 That they did, and Cure53, the Germany-based Penetration testing company gave TunnelBear a clean bill. Independent audits are important on two fronts. First, the VPN Company earns trust. The VPN industry is built on trust. The more trustworthy a company seems the higher are its chances of growth and success. Secondly, independent audits are also crucial to the VPN itself. Independent penetration testing services may point out critical vulnerabilities in a VPN. Indeed, TunnelBear’s first test revealed such weaknesses. They quickly took advantage of the test to improve their VPN service. The subsequent analysis gave TunnelBear a favourable report. The central TunnelBear VPN support is in the form of an email ticket. They claim that it can take up to 24 hours to get a response. I contacted the customer care for clarification as to whether TunnelBear works with Linux at around 12.05 PM, the answer came in at about 02:45 PM. It was straightforward and helpful. They also provide a dedicated Help Page in a menu at the end of every page. The Help Page has resourceful information covering all areas of the VPN service. TunnelBear does not provide live chat services. Chat service is becoming a must for VPN service providers because users want immediate response to their queries. I’d like to see TunnelBear incorporate live chat customer ‘Bear’ support. In summary, I would say TunnelBear is exceptionally safe, exhibits reasonable speeds and is transparent. However, not allowing torrenting amounts to locking down on the sizeable demography of ‘bears’ out there. They should also continue increasing the number of server locations more so in Africa and the Middle East where they do not have server presence at the moment. All in all, TunellBear is an excellent VPN service that works to secure our online activities. They also meet all the characteristics of a mother bear- Protective, affectionate, strict, and devoted. You can test the TunnelBear service free by signing to their ‘Little plan’ and let’s compare notes.